Learn more about the types of VR headsets available for rent or to buy. 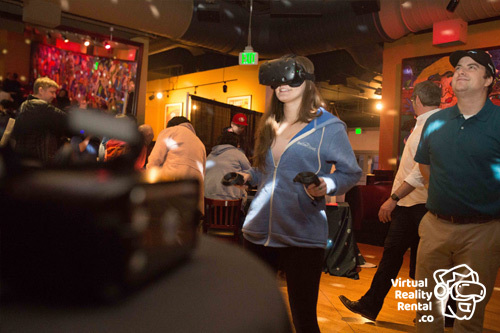 Virtual reality makes the perfect entertainment focal point for any event. 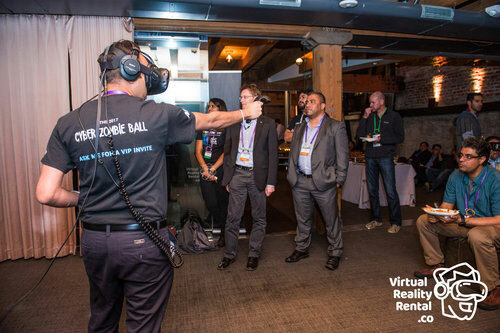 Whether you're hosting a party, focusing on employee engagement, or looking to increase foot traffic at a conference, learn our tips for using VR. Virtual Reality isn't all about games. Find out more about other VR experiences like the Google Tilt Brush and other unique options that are available in Room Scale or 360 VR. From training medical students new techniques to teaching special needs children, virtual reality is making an impact across many industries. 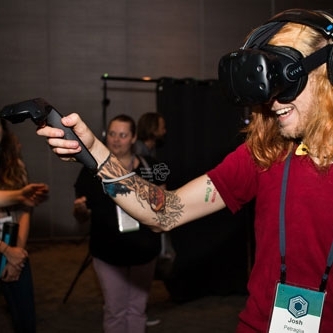 If planning on bringing VR to your next event, conference or trade show, find out the best ways to incorporate it into your event for the best overall experience. 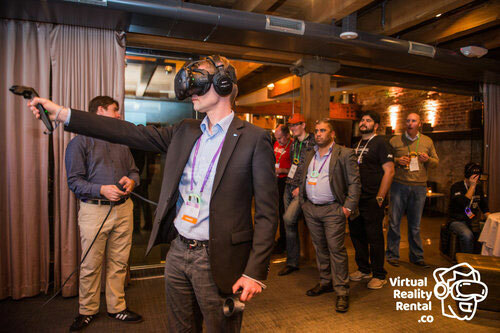 Increase engagement and drive foot traffic to your next conference booth by using our tips and tricks for incorporating VR into conferences. Virtual reality is a great option for any size business that is looking to increase employee engagement at events. 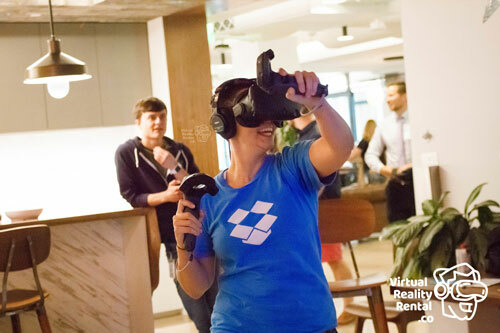 Find out more about top experiences for employee engagement and what you should know about including VR at your next event. Virtual reality can do more for your trade show than any branded t-shirt every could. VR creates an engaging focal point that can drive leads, increase foot traffic and better your brand awareness. 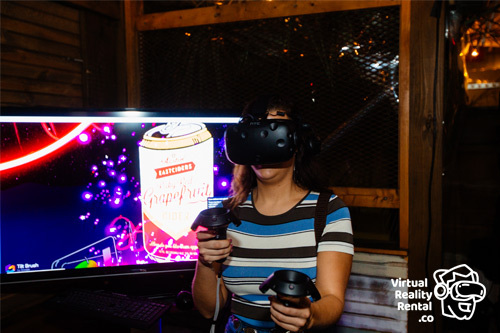 No matter the event, a virtual reality experience can bring memories, engagement, and definitely smiles. 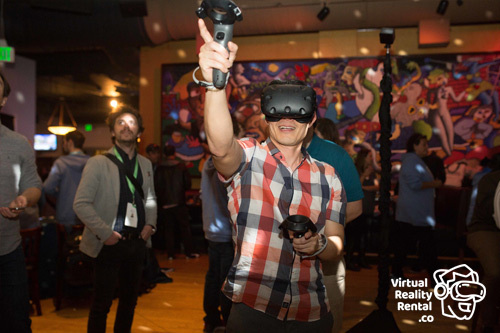 Find out uses and benefits for bringing VR to your next event. There are six main headsets for you to incorporate VR into your events. Oculus Go marks a new era for VR, one in which anyone can simply slip on a headset and dive into virtual realms. Though not perfect, it offers a comfortable fit, solid build, excellent visuals and the promise of more great content to come. The Oculus Touch controllers add impressive finger and hand movement, plus physical buttons for traditional games for the Oculus Rift. The Rift headset is well-designed and compact. A strong collection of software offers many apps to explore. However, the motion tracking lacks the HTC Vive's full-room scale. It takes a while to adjust to the controls. The Bottom Line is that the Oculus Rift now offers a great combination of controls and apps for next-level VR and some room tracking, but it offers a less expansive experience than the Vive. The Sony PlayStation VR will let you grab things in VR without requiring a pricy gaming PC as intermediary. Instead, it works with the PlayStation 4 console that you might already own. Just know you’ll need to add controllers, and you shouldn’t expect the graphics to be quite as good as those of the Oculus or Vive. The Gear VR can provide a head-turning experience, to take in will be to the side, front, and behind. You and your event goers will be impressed with the wonder of what you can experience. The HTC Vive is arguably the most popular of the computer powered headsets. 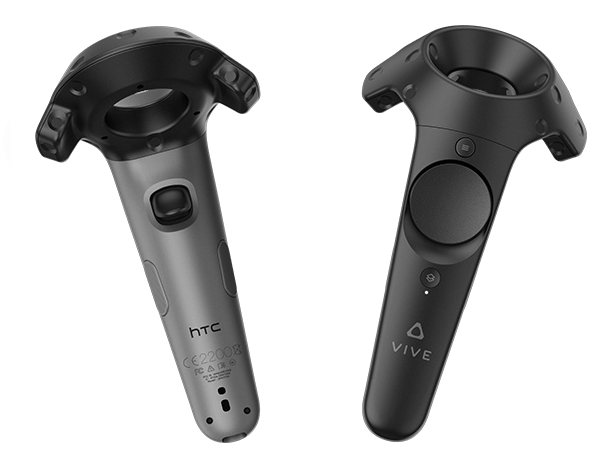 The Vive looks like a device that came straight from the future and paired with hand and feet trackers, you might think you are in the future when you use it. The Vive's graphics have been leading the industry for some time now and can truly transport its user into another world. Depending on the type of headset you want to incorporate into your next event, there are two main ways VR will come to life through the headset; mobile and desktop VR. Desktop VR needs to be connected to a computer for viewing. The most popular of this type is the HTC Vive. Desktop VR, for now, is capable of a better viewing experience. VirtualRealityRental.co has custom build lightweight computers for ease of implementation for your event. Mobile VR combines smartphones with special optical viewers such as Google Cardboard. By using smartphones which most people already own it lowers the entry cost barriers originally associated with VR. Mobile VR is much more accessible because of this. Unlike desktop VR mobile VR is wireless allowing for mobility and potentially more unique experiences. However, it is not capable of everything desktop VR is yet. Room-scale VR represents a huge leap forward from the limited mobile VR systems. It is the idea that a whole room could become dedicated to VR play, unlocking practically full immersion in a virtual space. The ability to move within a space provides a more immersive experience. Can be more lightweight, adding to the possibility of the user forgetting the headset is on. The 360 virtual reality experience provides users the opportunity to see and look in all directions, however it is not as immersive as other options that allow you to interact with the experience. The games are also far less advanced, allowing interaction through a trackpad on the headset versus a remote control. Virtual reality isn't just a viewmaster for your video games. It's an entirely new medium whose true purpose is slowly being realized. Here are a few of the ways VR will be used over the next few years. From films made by Hollywood to live-streamed concerts and theatrical experiences, VR has become a place to view videos that surround you. New cameras are being created to capture these VR stories, and tools to upload and livestream them are growing in number. Soon, these experiences might not even seem like films at all. There are several types of virtual reality experiences that are available for music. Artists like Taylor Swift, Queen, and Björk have already begun incorporating VR into their portfolio of music experiences. 360 VR videos taken at concerts provide fans with a life-like concert experience without having to actually attend. 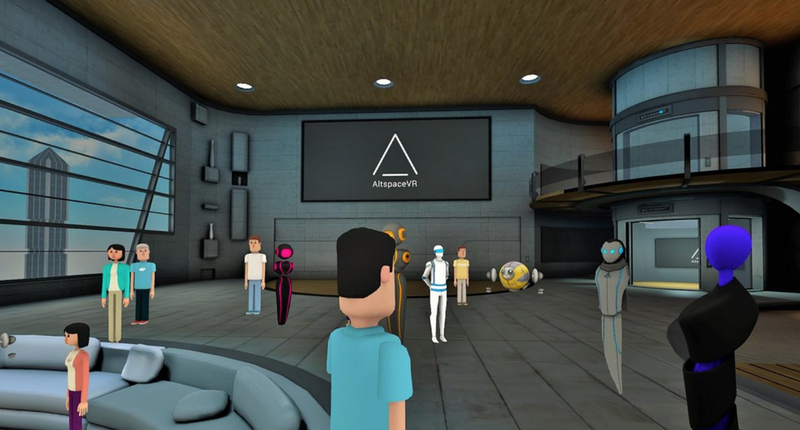 The second type of virtual reality experience available is a completely simulated version of a concert, complete with avatars of the band and audience members. Katy Perry, The Weeknd and Cold Play all have plans to include a virtually simulated concert experience into their repertoire. Live VR experiences for the music industry are becoming increasing popular as well. Fans can put on their VR headset and experience the concert or festival as it's happening. As virtual reality continues to evolve, we are seeing an increasing presence of cinema pieces hitting the market. The Tribeca Film Festival debuted 29 VR projects this past year, joining the likes of Disney and Warner Brothers who have also released their own VR content. VR can be a great way to bring cinema to life through a portable movie screen with synced headsets or a standalone VR theater. Imagine building a real home with virtual tools, or designing parts for a new car as if it already existed in the real world. Imagine painting a living and breathing 3D masterpiece that you are able to walk through and explore. 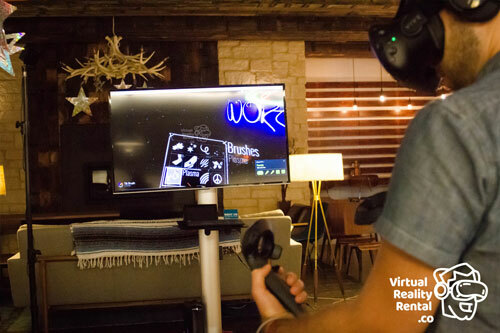 Digital art apps and wand-like controllers are already making virtual reality an amazing playground for artists. The release of Google's Tilt Brush in 2016 made way for the collision of the art and virtual reality industries. VR is breaking down barriers in sculpture, painting, set design, photography and architecture across the globe. Users are able to create and share digital galleries for viewing, much easier than ever before. As virtual reality continues to expand into other industries, video games remain one of the main applications for virtual reality as of today. But VR will give game designers the freedom to take games to incredible new places. They can also find new audiences now that players can just reach out and touch things, and turn their head to look, instead of mastering a complex controller covered with joysticks and buttons. With the release of Ready Player One in April 2018, gamers and non-gamers alike are being drawn to the possibility of being able move, walk around and otherwise be free to interact with virtual gaming worlds like never before. Disney has already been in the works to create a haptics jacket that allows gamers to feel the likes of a being hit by a snowball or having a snack slither over their body. As we see technology continue to develop with the advancement of VR motion platforms, haptic suits and other unique add-ons, businesses and developers alike will be able to create experiences that directly coordinate with their brands and clients intended use. Medicine, chemistry, physics, astronomy: VR can model the world in an incredibly visual way. And, it can also allow those worlds to be expanded and shrunk, played with and entered. Students could take a class trip to ancient Egypt, or try an open-heart surgery without any risks: VR simulations can offer practice runs at techniques, designs and ideas. Field trips directly coordinate with a student's understanding of the world, an experience, or historical event. Students learn many things in school but being able to immerse themselves in the world they are learning can help increase understanding and retention of the lesson. 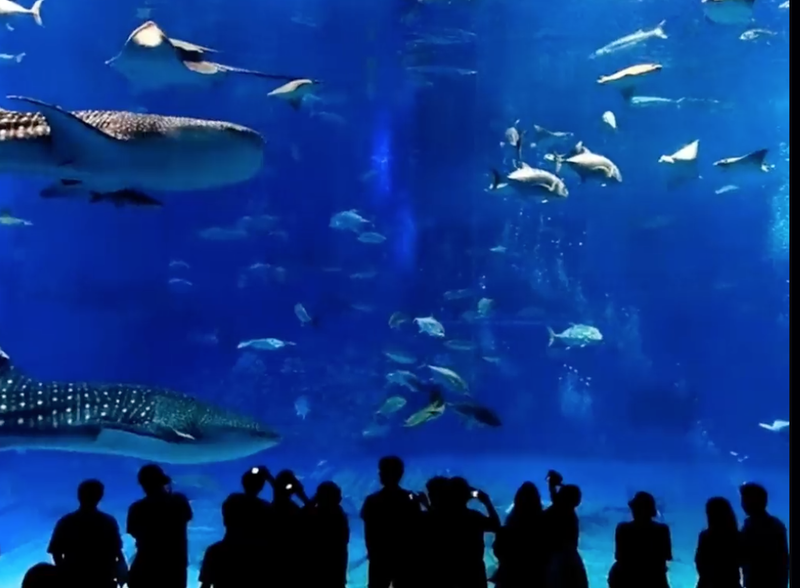 With the implementation of virtual reality in the classroom, students can now take "field trips" multiple times a week, instead of once a year. Not to mention, students who have been previously left out due to lack of monetary support from their families are able to be on the same playing field as everyone else. 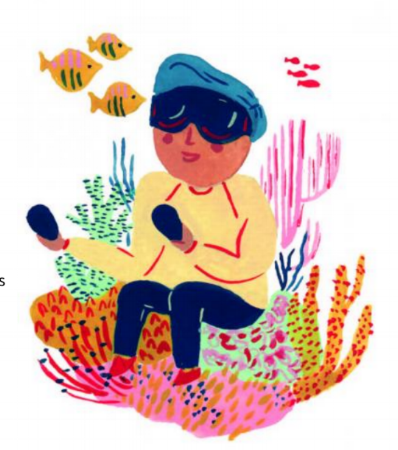 Virtual reality can be viewed as assistive technology, due to its potential to minimize or offset the effects of a disability and provide an alternative means for an individual to accomplish a particular task. For children with disabilities, children are able to explore or create new environments in a manner that allows them to manipulate objects and experience what would normally be difficult or impossible for them to experience in real life. Hotels are also jumping on board with VR train, providing virtual tours of their grounds and available rooms. 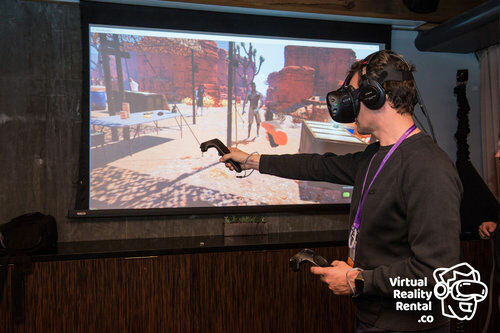 We predict it won't be long before all tour operators are prepared to have a VR experience that shows off their service offerings in each of their locations. VR can become a private space for your mind — a place to relax and think. Or it can be a place to explore something uncomfortable in a protective simulation. Virtual worlds can be very removed from the real world, or be labs to explore human behavior. Studies have shown that VR is so distracting, it can be a surprisingly effective painkiller compared with traditional medicine. VR’s extraordinary ability to create powerful simulations of the scenarios in which psychological difficulties occur is shaping the future of the industry. Suddenly there’s no need for a therapist to accompany a client on a trip to a crowded shopping centre, for example, or up a tall building. Situations that are more or less impossible to build into a course of therapy — flying, for example, or the shocking events that often lie behind PTSD — can be conjured at the click of a mouse. Because VR is not real that a patients reservations tend to disappear. We’ll do things in VR that we’d be reluctant to try in normal life. Yet although the computer-generated environment is artificial, our mind and body behave as if it were natural. And that means that the lessons we learn in VR transfer to the real world. Imagine being able to tour a prospective home from miles away, walking right through the property as if you were there. Imagine placing life-size models of your own furniture into that house, to see if they fit. Typically potential home buyers will tour dozens of properties in person before making a decision to buy. However, with virtual reality, buyers can now tour those homes quickly by slipping on a VR headset and then deciding which make sense to visit in-person. Just because you’re inside a headset doesn’t mean you’re alone. You could jump into a video game avatar to chat and play, or commute to work by inhabiting a telepresence robot with cameras mounted on its body. Can we connect and meaningfully communicate across distances that way? 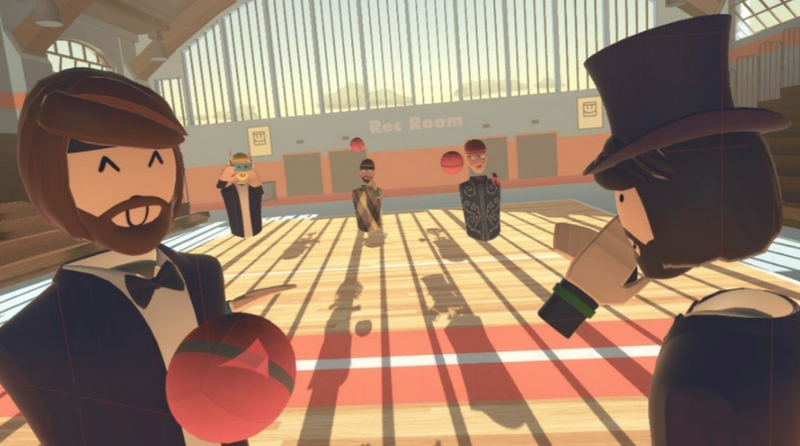 According to a study by Greenlight, the percentage of respondents who said they’d use social VR apps at least once a week was 75.7%, including 28.1% who reported they’d want to spend time using social VR every day. It's no coincidence that Facebook, of all companies, spent nearly $3 billion to buy Oculus. Whether you're bringing virtual reality to your next event, conference, trade show or employee engagement activity, there are several best practices to incorporate it for optimum fun and safety. To allow time for the most people to participate in the virtual reality set up, keep your demo between 1-3 minutes. If using a game or experience that shows a lot of motion, use it wisely, as some users can get nauseous in VR. 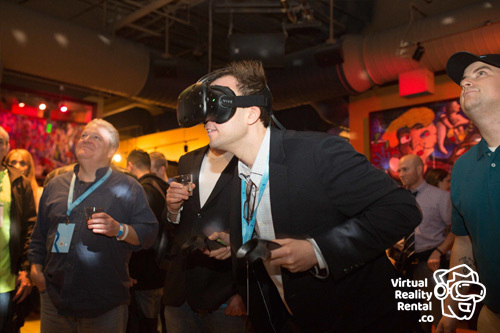 For many at your event it will be their first time in virtual reality, try easing them in as it can be intense. Know your crowd and avoid experiences that may not produce the best results, like intense roller coasters for seniors or something very scary for children. Keep the experience simple. With a limited amount of time, you may find it hard to communicate objectives, rules or directions in such a brief period. This can cause a confusing and not enjoyable experience. Be sure to include high quality audio. Audio is just as important in the visuals if you want your users to fully immerse in the VR world. VR is a new type of media to be hitting events, don't treat it like a standard presentation or video as old school media rules don't always apply. Choose experiences that fit your brand or your event. There are thousands of experiences to choose from, creating a relevant, memorable engagement will make the user more emotionally connected. Use an expert event manager. 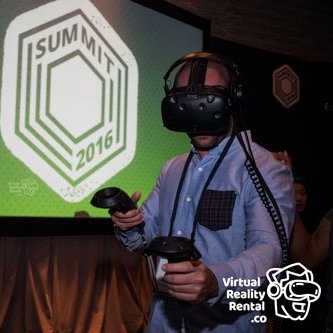 Event managers are experienced in producing, monitoring and ensuring safety at VR events. 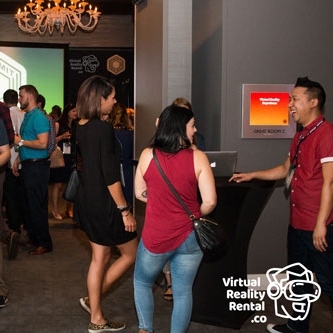 Define your goals for bringing VR to your event, whether it be fun, leads, foot traffic or something else, this can help ensure you bring the right experience. Create buzz - Virtual Reality is an attention grabber and will have people talking about what they experienced at your booth. Drive the conversation with badge scanning - Once a potential lead experiences your VR world, they will be captivated to hear more and more likely to be captured into your sales funnel. Brand positioning - Participants experience full immersion with your product and lifestyle, helping you position your brand as you wish and ultimately creating an emotional connection between the participant and your brand. Don't use VR just because it's the trendy thing to do. Do it to make your event more memorable.